From front of house at St Catharine’s Gloucester, this was a statement pew designed to house the church choir. 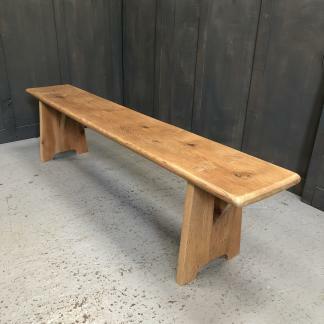 Taking four people to lift it comfortably this is a bench that has plenty of wow factor. 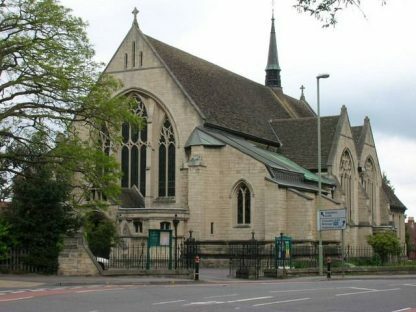 Highly carved finials sit atop of massive shaped ends with carved ball flowers in armrest and heavy beam plinths at base. 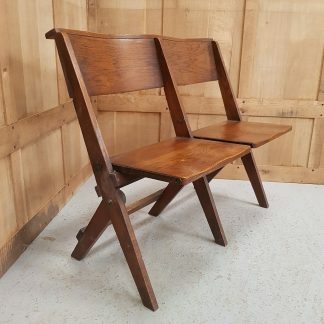 The tall back is comprised of blind gothic panels, surmounting a tongue and groove canted back support. Large shelves on top and at rear. 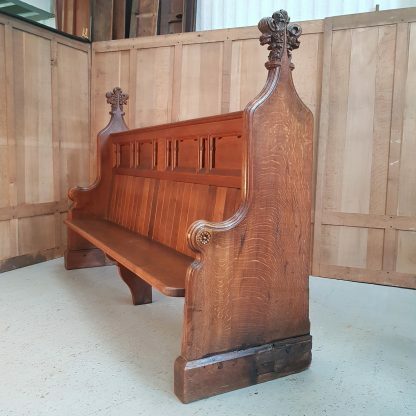 Should you require a size for this Antique Solid Oak Gothic Choir Church Pew not listed please call us on 01737 844 264 or use the contact form available. 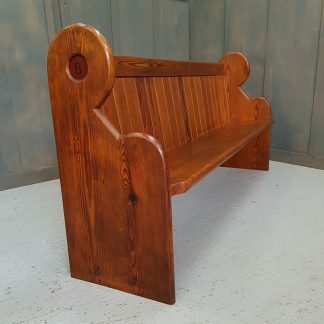 Our pews are made to order and can usually be ready within a week. Delivery can take up to 3 weeks for most parts of mainland UK.